I meant to post this on June 1st…. However, I have had a very busy June thus far and haven’t had the time to finish it. So here it is! I hope you guys enjoy a couple of my favorite products from May! 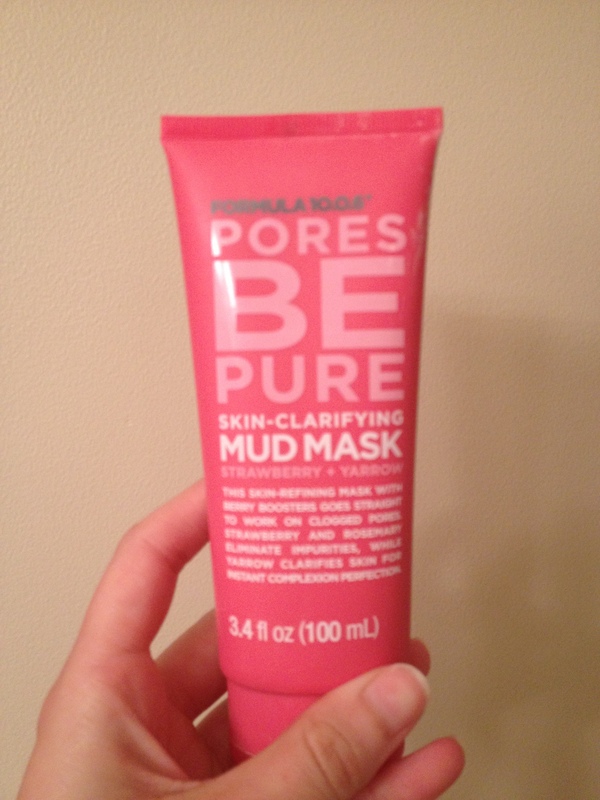 The first product is by Formula 10.0.6 and is called the Pores Be Pure skin-clearing mud mask. I mentioned this product during my Arizona posts. The first time I tried it my skin burned so bad and I had to take it off almost immediately. The burning sensation doesn’t bother me anymore and actually feels pretty good. It makes my skin feel a lot more clean and tight. I haven’t noticed a huge difference with blackheads and things like that but I do enjoy using this mask from time to time. I wouldn’t recommend using this mask more than once a week but you can buy it from Ulta for $5.99. The second product is Trader Joe’s Spa face wash with tea tree oil. My mom and sister got this for me when they were visiting family in Ohio. 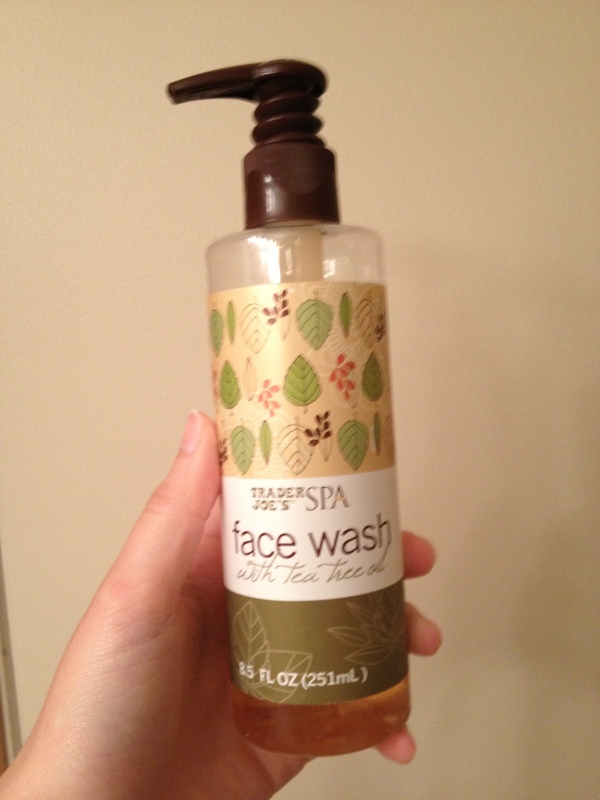 The smell of this face wash is really bad but it cleans my face so well! My face has seriously never felt so clean! This face wash takes away all the oil on my skin and cleans it without drying my skin out. I used this face wash all winter and it didn’t dry my skin out which is amazing! I will definitely buy this wash again next time I am at Trader Joe’s. 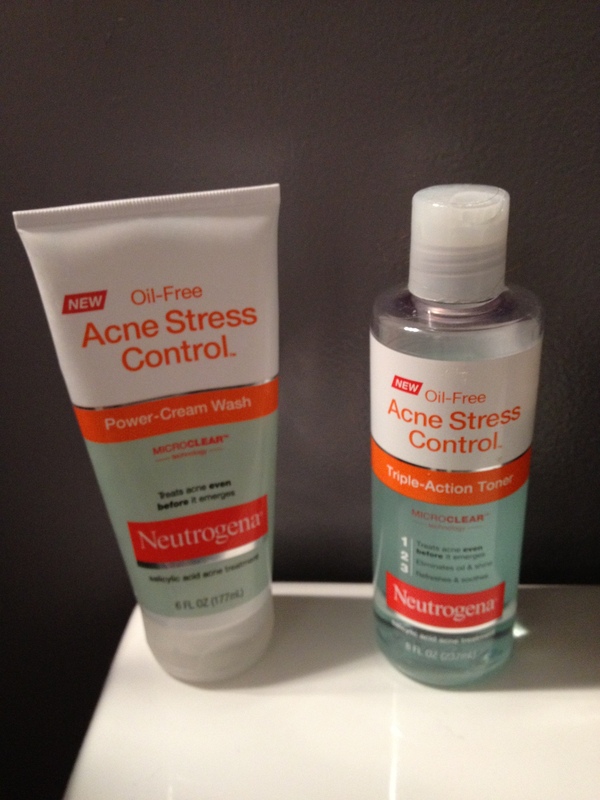 My final products are from Neutrogena’s Acne Stress Control line. The store was having a buy one get one free sale so I decided to pick up the stress control face wash and toner. I have wanted to try this line for a while but just never got around to it. I am so glad that I bought these because they have easily become my favorite face products! I have really bad skin (which is why all of my favorite products are for skin) so I am always on the lookout for products that reduce the amount of breakouts that I have. I have still had breakouts while using these products but I haven’t had as many as I usually do. I have seen really good results using both of these so I plan on continuing buying them! I hope you guys enjoyed my May favorites! Sorry that they are all face products but I am constantly trying new ones. When I find a face product that I love I want to share it with you guys! If anyone has any recommendations for me I would love to hear them! Thanks so much for reading!